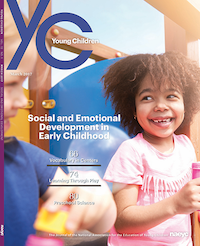 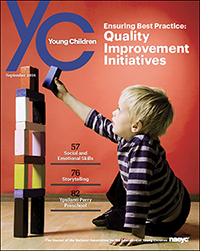 YC is NAEYC's award-winning, peer-reviewed journal focused on educating children from birth through third grade. 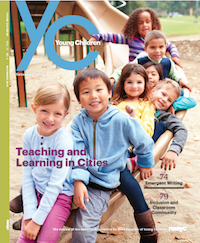 In the November 2016 issue of Young Children, we share seven stories of best practice, innovative ideas, and new research related to teaching young children in urban programs. 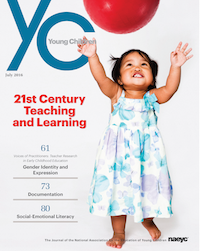 From teaching STEM skills to preparing teachers to support children’s positive racial identities, the articles o er many lessons learned—food for thought to inspire all educators. 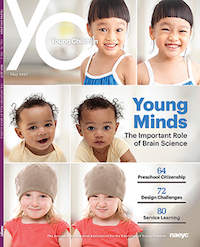 To subscribe, visit the Young Children subscription website or call 800-424-2460.